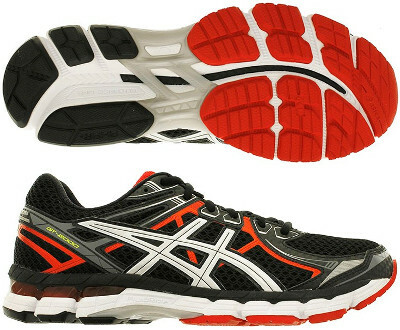 Asics GT-2000 2 are stability cushioned running shoes. The Asics GT 2000 2 offers great blend of cushioning and support somewhere between the simpler GT 1000 2 and the premium (aka more expensive) Gel Kayano 20. It is a perfect choice for long runs and everyday workouts. This new version gets a lot of improvements from its predecessor the GT 2000: it is not only about technologies but also materials than make the GT 2000 2 closer to premium segment. Redesigned upper looks modern and it is based on breathable mesh with welded overlays to provide enhanced structure consistency. Midsole in GT 2000 2 is composed of several elements, each one for specific task. There is a full length layer above all to provide firmness in every stride. We can find below the well known Gel® for improved shock absorption combined with double density foam (FluidRide integrated with Dynamic Duomax) for pronation control and plenty of cushioning in the middle of Kayano 20's softness and GT-1000 2's firmness. Plastic shank features extra stability and divides outsole in two areas: rearfoot with durable AHAR+ and forefoot with blown rubber for more grip and comfort.